and they are less friendly than a rabid fox. to feed their families at our expense. They are coyotes (not a metaphor). 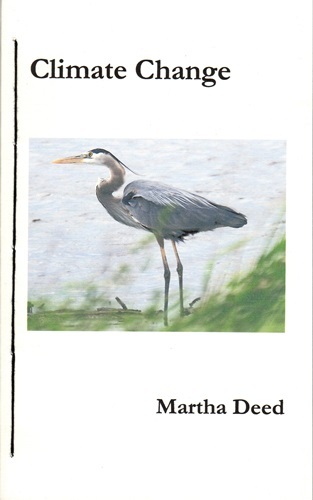 Martha Deed is a retired Psychologist who has a lifelong habit of writing in a variety of literary and professional settings. 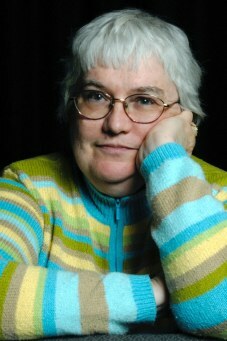 Her publication credits include juried professional papers in psychology, law and medicine as well as new media work often in collaboration with her daughter, Millie Niss; opinion and investigative pieces for newspapers and online venues such as KevinMD and Yale Journal for the Humanities in Medicine, and poetry. Martha's poetry has been published in dozens of journals and appears in anthologies published by Iowa, Mayapple, Red Hen and others. Single poems and small collections appear in Shampoo, Moria, CLWN WR, Cell2Soul, Edifice Wrecked, Big Bridge, Earth's Daughters and many others. She has published mixed media (poetry, photography, prose) in two previous books: The Last Collaboration (Furtherfield, 2012) and Intersections: A Twenty-day Journal of the Unexpected (Library of Marvels, 2006). Previous poetry collections include The Lost Shoe, November 2010 Project, This is Visual Poetry (Dan Waber imprints, 2010-2011), 65 x65 (small chapbook project, 2006) and #9 (Furniture Press, 2004). Martha curated and edited a post-humous poetry collection for her daughter Millie Niss's: City Bird (BlazeVox, 2010).